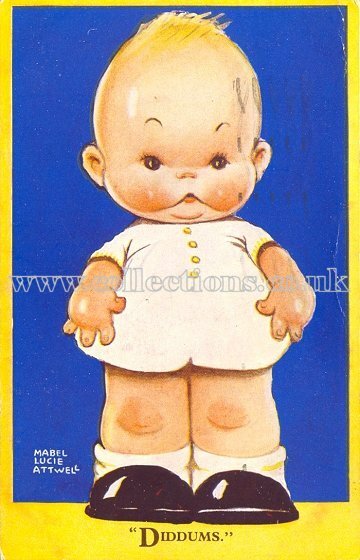 Publisher: All Genuine Attwell Postcards Have The Artist's Signature Thus:- (shows example of signature) 2413. "Dear Betty, How are you getting on with the swimming? I suppose the weather is a bit too cold for you. By the way, tell Joyce we thought her card was very good. The photos of Phyllis's baby turned out great, and now I have got two more orders. Must close now, hoping to see you soon. With love Queenie"